Stay ahead of the pack with this extended out-front bike mount that lets you take full advantage of your Edge without compromising your ride. 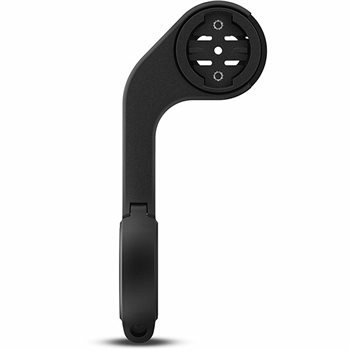 This mount with extended arm allows you to stay in a comfortable heads-up position for easier monitoring and improved safety. Edge 1000, Edge 1030, Edge 130, Edge 20, Edge 25, Edge 520, Edge 520 Plus, Edge 820, Explore Edge, Explore 1000, Edge Explore 820, Garmin Charge Power Pack.